Played the role of Peter in The Love Bug alongside Dean Jones but is best remembered for the role of George Banks in the film Mary Poppins. He served as a Flight Lieutenant in the Royal Air Force during World War II. 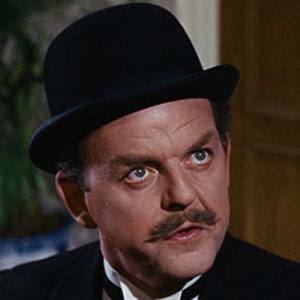 He played the role of Emelius Browne in the Disney musical Bedknobs and Broomsticks. He married second wife, Audrey Freeman in 1953 and has four children. He was in Mary Poppins alongside Julie Andrews.